Whether your child is in elementary school, middle school or high school, Grade Potential provides the academic tools that mean success. 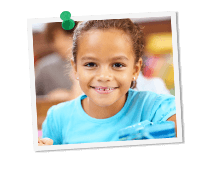 Our contract tutors for elementary, middle school and high school students cover all subjects handled in the classrooms in your area. We offer K-12 tutoring for every subject and grade level—and what’s more, we do it all from the comfort and convenience of your own home. We take great care to ensure that your specific contract tutor is the right fit for your family. Whether your child is in private school, public school, home school or an independent study, our contract tutors are trained to adapt to each student’s specific goals and learning style. Backed by significant experience in the field, our qualified and friendly contract tutors include credentialed teachers, college and graduate students and industry professionals.